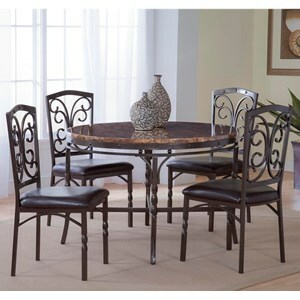 This dining table and chair set features both a rich brown finish and timeless design. 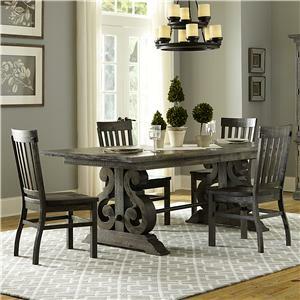 The table's casual style makes it a perfect addition to either the family dining room or cozy kitchen. 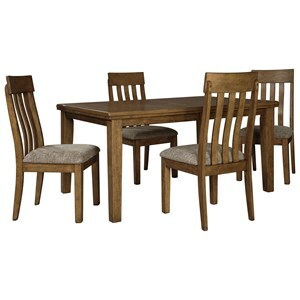 The ladder back chairs complete this set with an extra touch of comfort and casual style. 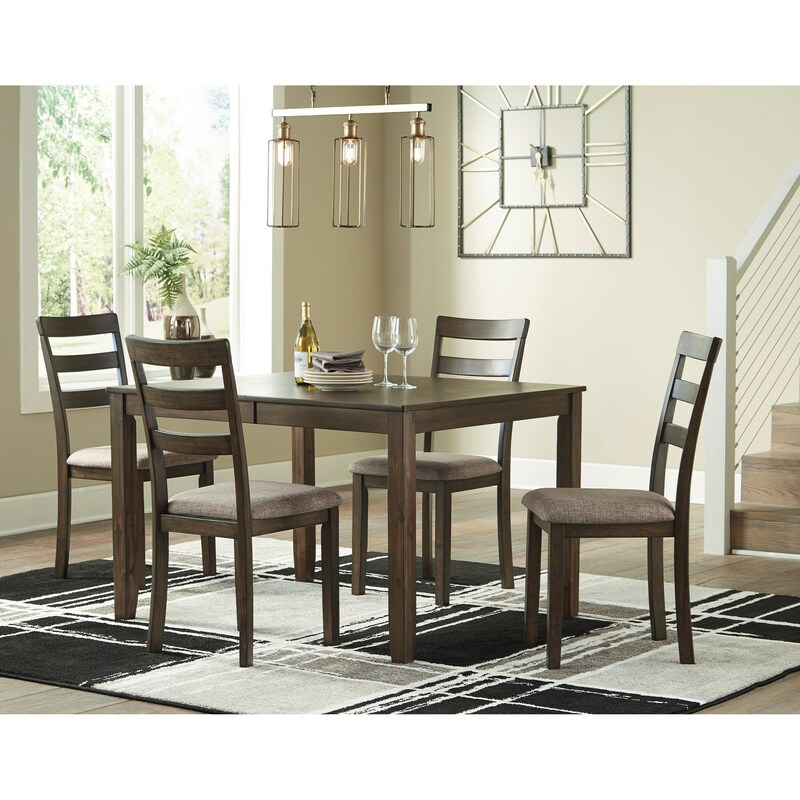 The Drewing Dining Table and Chair Set for 4 by Benchcraft at Miskelly Furniture in the Jackson, Pearl, Madison, Ridgeland, Flowood Mississippi area. Product availability may vary. Contact us for the most current availability on this product. 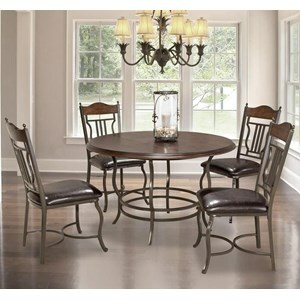 The Drewing collection is a great option if you are looking for Transitional furniture in the Jackson, Pearl, Madison, Ridgeland, Flowood Mississippi area.